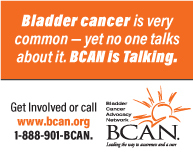 Bladder Cancer supports the appropriate and responsible use of animals as experimental subjects. The U.S. Public Health Service Policy on Humane Care and Use of Laboratory Animals (PHS Policy) and the National Institutes of Health Guide for the Care and Use of Laboratory Animals (NIH Guide) should guide all animal research. Compliance with these guidelines as well as protocol approval by the Institutional Animal Care and Use Committee must be stated in the cover letter and specified in the Methods section of the article.